Sydney metalcore sons Northlane are sweeping the world to share their latest body of work Mesmer. Having hit Thailand, Indonesia, Singapore, UK, Germany, France, Belgium, The Netherlands, Slovakia, Poland, Czech Republic, Austria, Spain, Italy, Canada, Mexico, Argentina, Chile as well as heaps of regional towns across Australia. 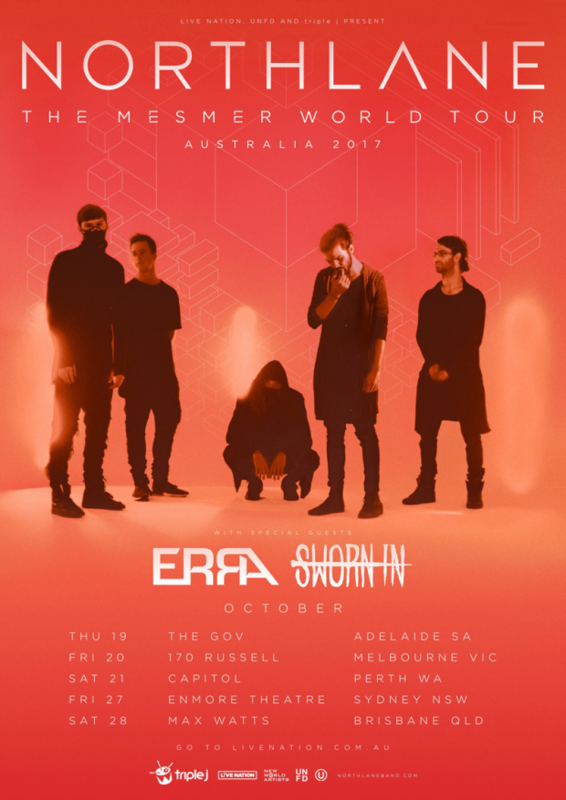 Perth is next in line with the band to play Capitol this Saturday, October 21 with support from ERRA, Sworn In and Once Almost Never. 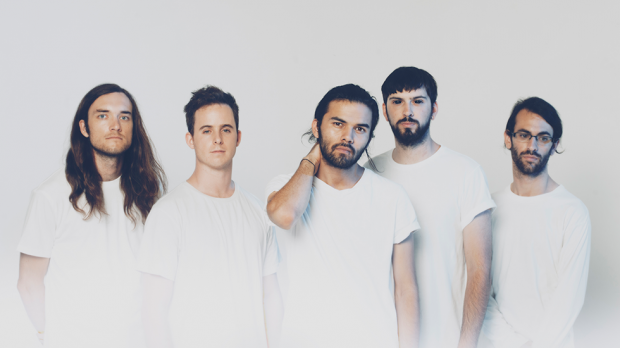 We wanted to get a little insight into the minds of the Northlane lads so we asked them about their favourite Australian albums that helped influence and shape their musical brains. 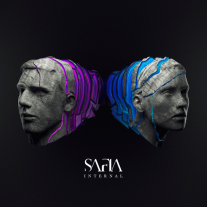 My favourite Australian album of all time would have to be Internal by Canberra trio Safia. Although this album has only been out for a little over a year, from first listen it had me captivated, intrigued and definitely in awe. Now I know you might be thinking why this album? It’s so different to the type of music Northlane plays. The main reason I picked this album is that it constantly inspires me to want to push boundaries and better myself as a musician. It’s really hard for me to put my finger on what my favourite Australian album is, because so much fantastic music has come from our rock, and much of it has shaped me into who I am today. 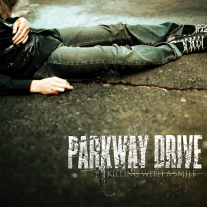 That being said, if I’m thinking about a record that really changed the outcome of my life it would be Parkway Drive’s Killing With A Smile. I was big into metal at the time and this record moved me, it was so heavy and melodic at the same time in a way I’d heard nobody do at the time. It also introduced me to a world of music and community on my own doorstep, which led to me starting my own musical career. Parkway Drive opened Australia up to the world with this record and I doubt we’d have the opportunities we’ve had with Northlane if Killing With A Smile had never come out. 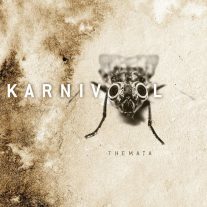 There are a plethora of amazing Australian records, though none have resonated with me like Karnivool’s Themata. It opened me up to a new world of musicality in a way that i hadn’t heard before. At the time I was heavily into metal and then I was shown this record. A massive curve ball for me at the time, but I was hooked after one song. Every time I revisit this record I hear something new that I’d never heard prior. Hats off to Karnivool for creating music that in my opinion, is unique, timeless and inspiring. I remember when I was 13 hearing What’s On Your Radio? 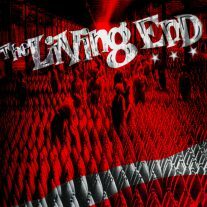 and Wake Up from The Living End’s State Of Emergency and it blew me away, leading me to further explore their discography. Not long after, I discovered their self-titled album and I fell in love with it. They managed to perfectly blend blues, rockabilly and punk to create something extremely fresh and catchy yet still raw and passionate. A truly fantastic record and band.